The Vijay Palace hotel in Bhopal welcomes its guests to minimalistically designed rooms, adorned with modern furniture. 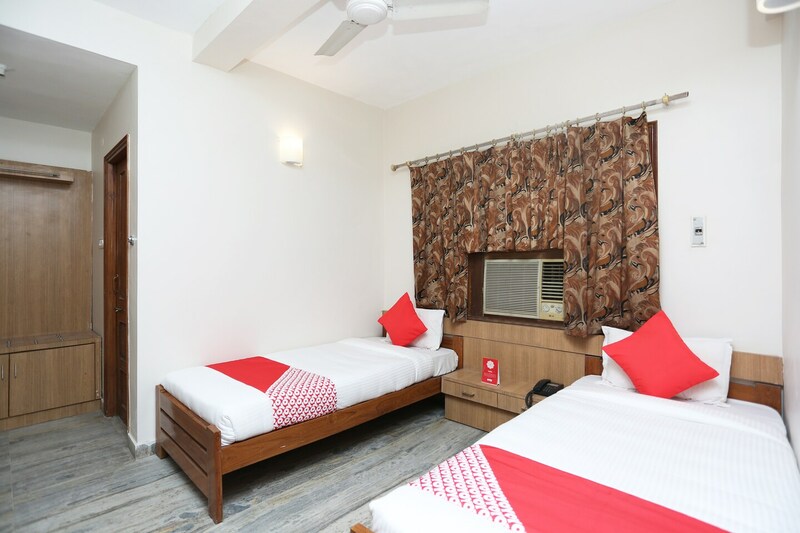 The rooms are clean, well-maintained and done in white, making them a good pocket-friendly option. The hotel provides laundry facilities and has a card payment option as well. It ensures that guests are safe at all times through CCTV cameras. The hotel also has a banquet hall and dining area for the use of guests. There are many restaurants close to the hotel serving various types of cuisines. The hotel is also close to Habibganj Station, which is an added advantage.